Regional Animal Shelter is using Finding Rover to reunite lost dogs with owners using free facial recognition technology. Regional is officially the first animal shelter in Fulton/Hamilton/Montgomery county area (second in New York State) using integrated facial recognition technology to identify lost pets. Regional now offers their community an additional tool to help lost and adoptable dogs find their forever home through the FREE Finding Rover mobile app and website. As of April 1st, residents can search Regional for their dog just by clicking a few buttons on Finding Rover, which saves time for both the lost pooch and worried pet-parents. This partnership aims to increase reclaims and adoptions exponentially as the community grows on Finding Rover. Now, every stray dog that enters Regional can be instantly identified on the Finding Rover app or website using facial recognition technology for FREE. 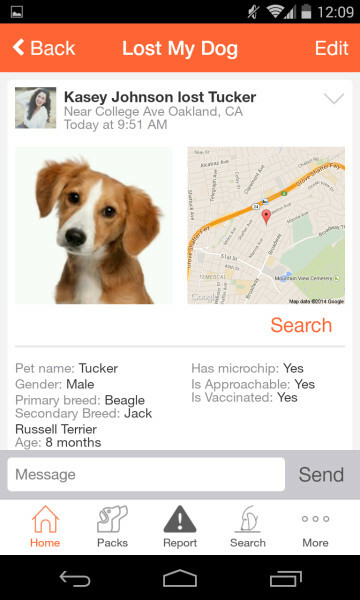 Users of Finding Rover can search the shelter right from their smartphone or computer for their missing dog, a neighbor’s missing dog, or search for adoptable dogs. Every dog that leaves Regional, through a reunion or an adoption, can remain protected on Finding Rover when the pet-parent completes registration with an email. If that dog ever gets lost, his/her record will already be in the system, and identifying that pet will be a snap. Registration of your pet is simple and free. Once your dogs are registered, they’re protected for life. Residents can list dogs as missing, found or simply upload the image as an extra protection against the unexpected. Pet-parents are encouraged to register their dogs before they get lost because, if that moment comes, a digital Lost Dog poster can be created on Finding Rover in seconds. Volunteers at Regional will be integrating the same app in our lost dog processing and use it to reunite families with their pets faster. “A dog is a beloved family member, and if he or she goes missing, it can be devastating to everyone involved. We want to do everything we can to safeguard our dogs from being lost forever. 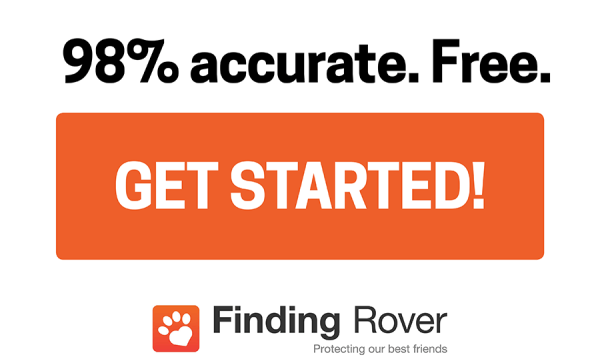 Registering a dog on Finding Rover is another step all owners should take to further protect their cherished pet.” — John Polimeno, CEO and founder of Finding Rover. When a community comes together on Finding Rover, more dogs can find home. Please help more pets find their way home by spreading the word. Support for cats is expected to launch by July of 2016. Technologically advanced – Finding Rover spent two years with The University of Utah research and development (R&D) department creating is proprietary facial recognition technology. Finding Rover has the only technology that instantly recognizes a dog on the spot. Finding Rover is currently available at http://findingrover.com and available on iOS devices and Android devices FREE.